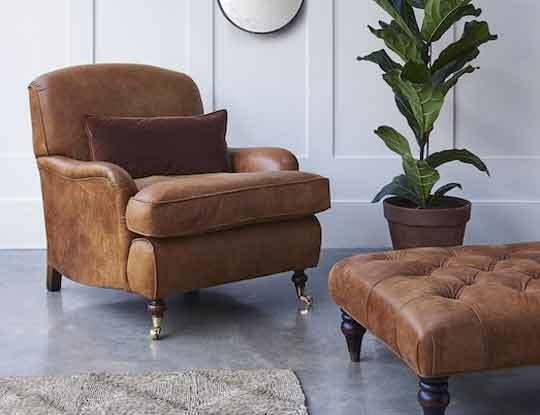 Pop in store or browse online our large selection of Rust Sofas, in Leather and Fabric. Some call it Rust, others Copper, what ever you call it, we can all agree the spectacle inside the home these magnificent Rust Sofas create. Imagine the interior design inside your home, complemented with the introduction of a Rust chesterfield sofa, packed with creative style, or perhaps an enormously practical copper rust sofa bed for the unexpected guest. Squashy shades of tinted rust corner sofas are just the thing for family time or choose an armchair in a calming fern hue for something a little more soul soothing. 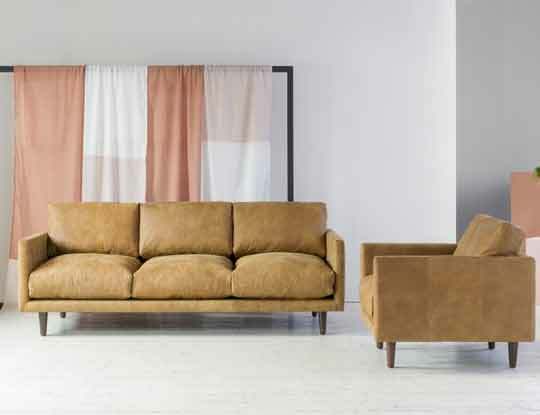 Perhaps you’re searching for a more contemporary sofa or even something a little more traditional, there are shades of Rust sofas to wow up anyone’s interior. Any of our bespoke, British sofas can be covered in your favourite tone including Rust Sofa Fabrics and with expert advice available in both our showrooms and online you’re sure to find exactly what you’re looking for. S&S are experts in creating bespoke furniture, made to order, all here in the UK. We beleive that everyone should be able to have the exact sofa, bed or chair they are dreaming of, and not just the 4 or so fabrics and colours that some of our competitors offer on each product. This is why we introduced our any fabric in the world offer. Where we can upholster a sofa in absolutely any fabric. We have hundreds of fabrics online and even more in store for you to browse and choose from. We are aware that sometimes people can get overwhelmed when it comes to designing their own settee. That is why we offer interior design consultations free of charge in each of our 12 Nationwide stores. You can book your hour slot online or by giving the showroom a call direct. You will be guided through the design process and come away with a rust sofa you will love. Why not order some free rust fabric samples pack, so you can see the high quality fabrics we offer.